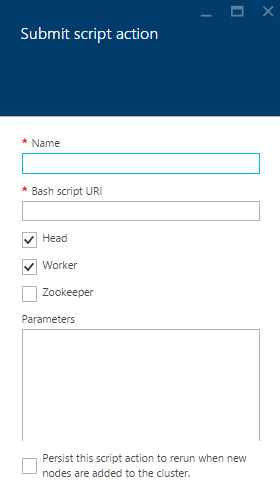 Today, we are announcing the ability to make customizations to live running Apache Hadoop clusters in Azure HDInsight. Previously, we announced the Script Action feature giving you the ability to customize your HDInsight clusters with additional components available in the Apache Hadoop ecosystem. This allowed you to use scripts to customize your Hadoop clusters like adding Giraph, Solr, and R or making arbitrary modifications to the cluster as needed. 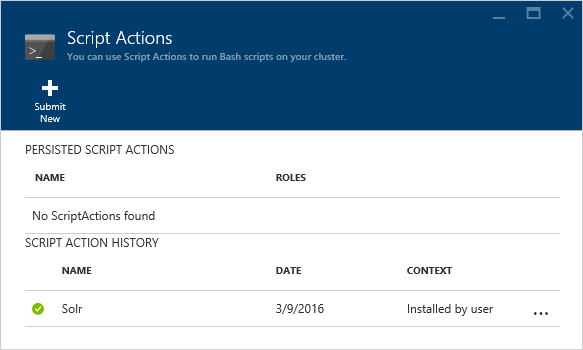 However, until now, users had to specify the scripts they wanted to run at the time of cluster creation. 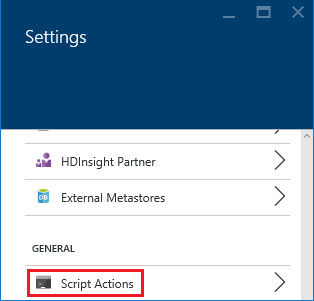 With today’s announcement, users will be able to leverage the Script Action capability with a running cluster without the need of dropping and recreating clusters. This increases the ease and flexibility of deployment and reduces the development and time needed to test the customization. 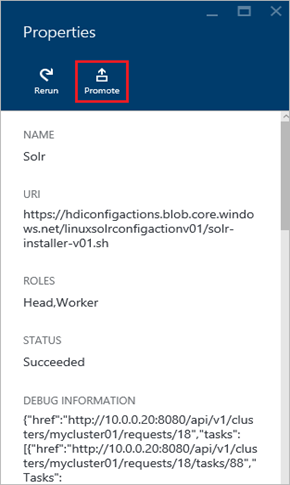 This enhancement is available in all HDInsight Linux clusters types – Hadoop, HBase, Storm, and Spark – and can be leveraged using Azure Portal, Powershell, CLI, and SDK. 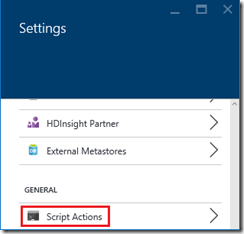 To access this feature, go to the Azure Portal and find the Script Actions feature under Settings. Users can start by writing an adhoc script and test it on a running cluster. Once the dev/test phase is complete, the script can be promoted to run on all newly created nodes. In addition, users can view the history of all the scripts they have run with the added ability to rerun the scripts as required.